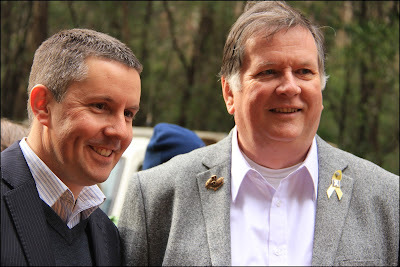 It was terrific to be up in the Toolangi Forests to celebrate the opening of the Kalatha Giant Tree Walk. It seemed a fitting thing to do on National Tree Day. The Kalatha Giant, a testament to survival and resilience. 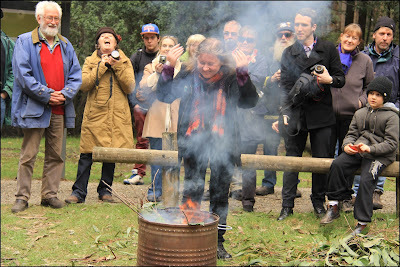 I joined with locals from the Dandenong Ranges as well as Toolangi, Healesville and Castella locals to celebrate the event. 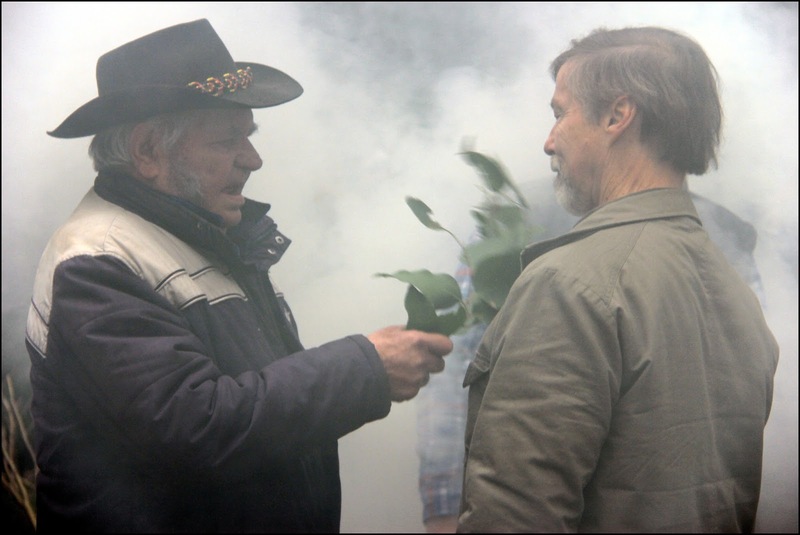 Uncle Roy Patterson Taungurung Elder conducted a traditional smoking ceremony before the opening, he also did the welcome to country. The Kalatha Giant Tree bears an ancient fire scar and has clearly survived several bushfire events in its long lifetime. It was selected for celebration as an exemplar of resilience and survival. The construction of the walk was a community bushfire recovery initiative to enable visitors to view the tree while protecting it and its environs. 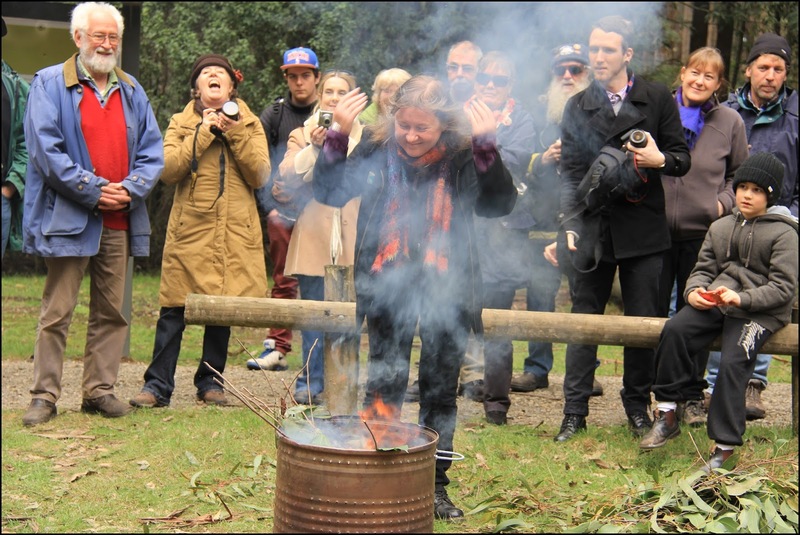 It was installed by the Department of Sustainability and Environment (now DEPI) with funding from the Victorian Bushfire Appeal Fund. 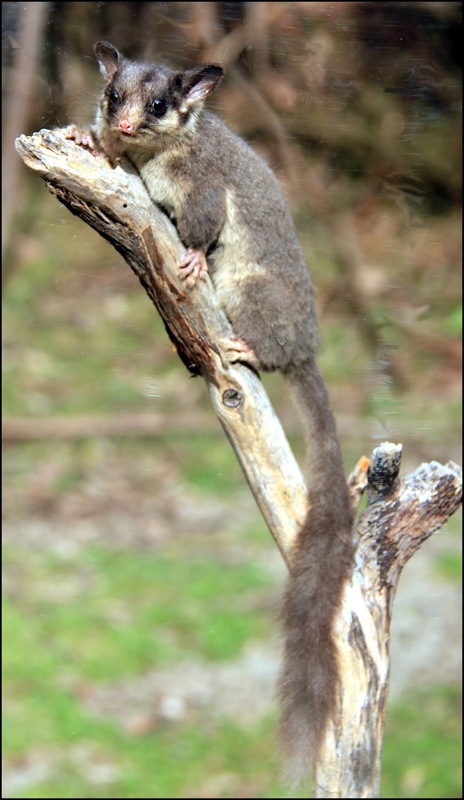 The Project was auspiced by the Toolangi & Castella District Community House and supported by Healesville Environment Watch Inc. and Friends of Leadbeater’s Possum Inc.
key driver of this project from inception to delivery. 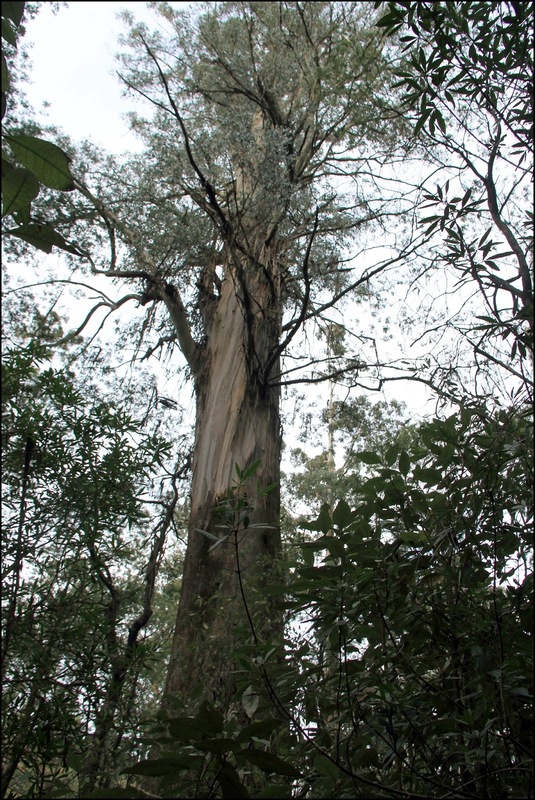 Mountain Ash (Eucalyptus Regnans) is Australia’s tallest tree and the tallest flowering plant in the world. The Kalatha Giant is a truly magnificent specimen, one of several in the area dating back at least three to four hundred years. It has a girth of 16 metres and reaches a height of approximately 73 metres. in order to cut it down with an axe where the trunk narrowed). The Toolangi community sits alongside the Toolangi State Forest on the ridge of the Great Divide. In the Black Saturday fires of February 2009, about 65% of the forest was burnt. The Kalatha Giant Tree is situated in the section of the forest that escaped the fires and has become an important pocket of biodiversity, a refuge for native wildlife and local residents alike. It has become known locally as the “hole in the donut”. considered for an upgrade to critically endangered. 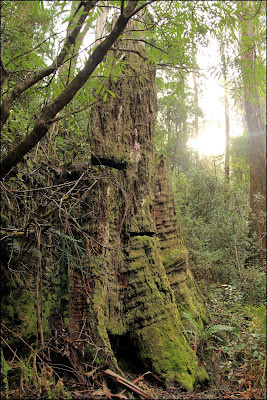 It is a magnificent part of Victoria and reminds us that we do have some beautiful and pristine tall tree forests in this state, well worth a visit. will be spared as part of the walk, but others wont. Thank you Samantha for you never ending support of our beautiful threatened forests and wildlife!